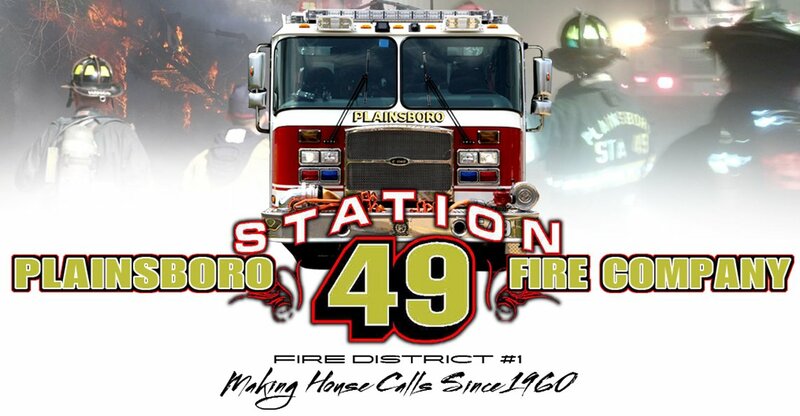 Another busy day for Plainsboro. 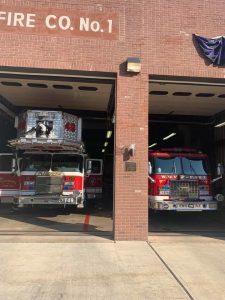 Tower 49 was detailed to Station 31 (Prospect Heights -Ewing) to assist with a pre-arranged cover assignment, as their members attended past Chief Jeff Lenarski’s wake services. 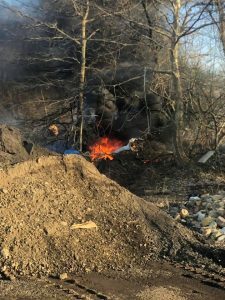 At approximately 1745hrs, Plainsboro and Cranbury Fire Companies were detailed to Dey Road at the township’s border for a possible brush fire. 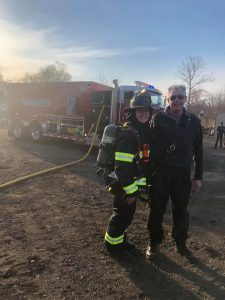 Upon arriving in the area, Chief 49 had a large column of smoke in the sky off Ochardside Drive on the Monmouth Junction – South Brunswick side of the road. Units found the fire down a long dirt road, subsequently having tanker 49 and brush 48 stretch on a large rubbish & brush fire. 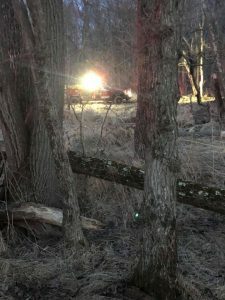 Crews from Monmouth Junction, NJ State Forest Fire Service, Cranbury, County Hazmat, and Plainsboro extinguished the fire. 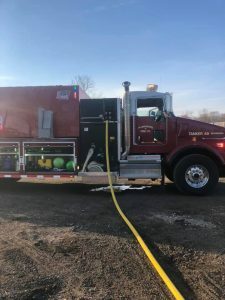 As Station 49 was returning, Tanker 49 and Brush 49 were detailed to help Lawrence Twp on a large brush fire on Cold Soil Road. 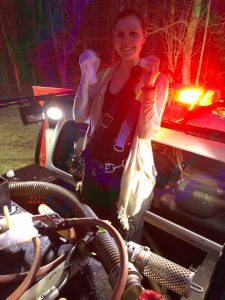 Crews operated for several hours with the deep seated brush fire. Special thanks to Brush 52 (power wagon!) 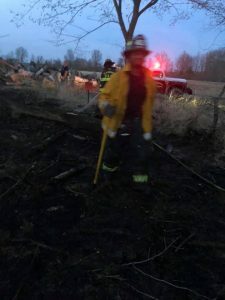 and Lawrenceville 23’s manpower for putting in some work after our brush truck was sunk in the swamp land.